UK - London - IF campaign youth event in London. Zac Hill. 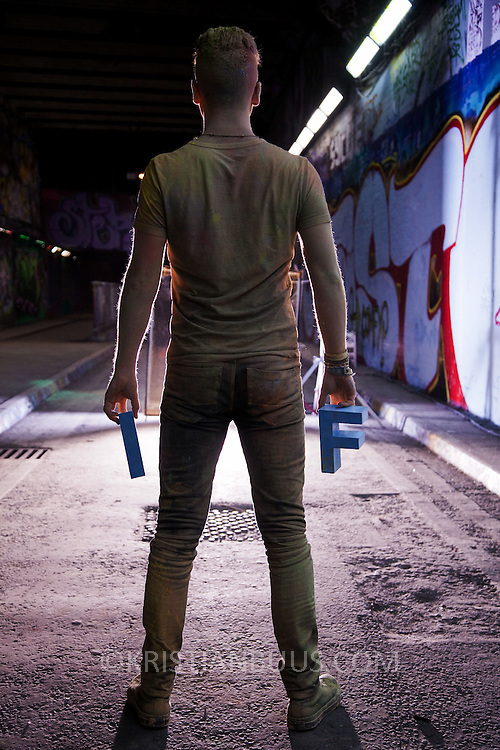 The video the Power of IF was filmed in a tunnel by Waterloo and was filmed and produced by Armoury London. More than a hundred 16 - 25 yr olds joined a creative paint-fuelled event to express their support for the Enough Food IF campaign. While making the video was a fun and colourful process, the message remains a serious one: global hunger is outrageous and unacceptable.